Nevertheless, every component is in perfect harmony with each other. You get huge, chunky clouds with incredibly accurate flavor transmission levels. 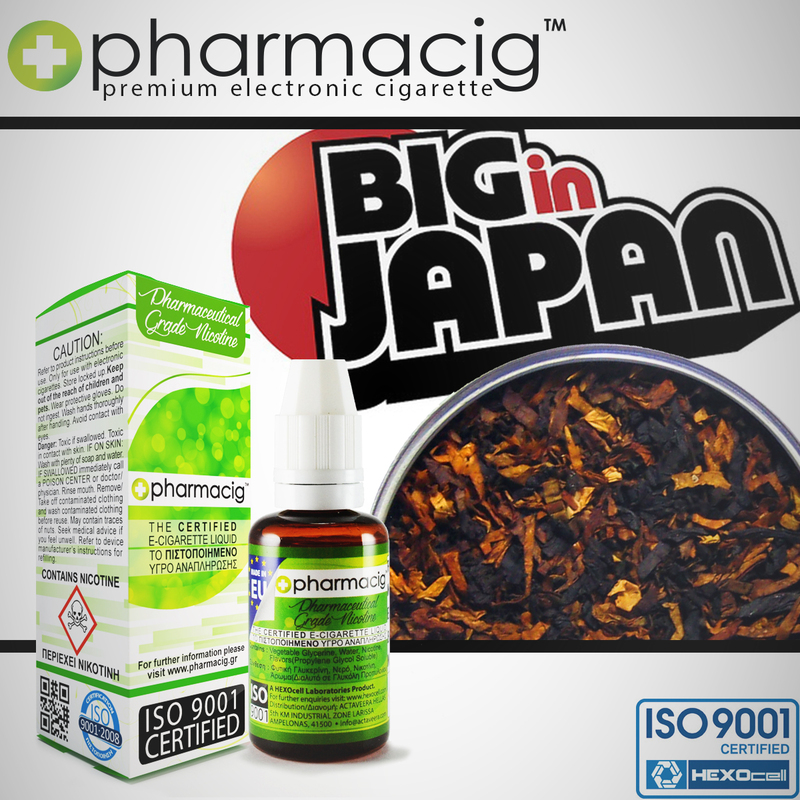 Big in Japan is a very smoky vape. It has a deep and flavorsome vapor profile that brings out the best qualities of the tobaccos in it, regardless of the hardware used. Depending on your gear, the vapor is either mild or strong, but the taste is always fantastic. The same goes for the throat kick. No matter how you personalize your ecig, you always get a brilliant throat hit!